On January 1, 2009, Julie Forward DeMay began her blog cell war notebooks to document her “journey to healing;” she was battling cancer. On August 10, 2009, Julie died peacefully at home, only two days after her thirty-seventh birthday. This book is the collection of her blog posts. Each post is given its own chapter, separating the book into short and easy to read segments. The book itself is short and can be read in a single sitting. The chapters are loosely centered around themes, but mostly chronicle Julie’s thoughts on any given day. Her writing style is casual and inviting, and the reader is drawn into the personal reflections of a young woman conscripted to fight a battle no one would ever choose for themselves, but which far too many must face nonetheless. The subject matter is heavy, but Julie’s humor and insistence on living a life with cancer opposed to a life of cancer prevent the reader from getting weighed down by it. Though dealing with something intensely personal, a stranger reading her book does not feel like an awkward intruder, but rather a trusted friend, honored to be invited to share this journey. Whether you or a close loved one have been personally touched by cancer or not, this book will be a welcome view into a life in which cancer and its deadly effects are a daily reality, but not the only reality. Death is inevitable for all of us, but Julie Forward DeMay has left us a gift by showing us how to accept an impending death with dignity and grace, while also maintaining a full appreciation for life. Five stars, but have a tissue handy. 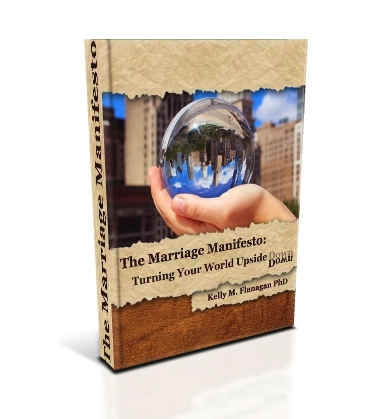 In his first e-book, Dr. Kelly Flanagan addresses how the consumerism that shapes modern life infects and damages marriages as well. Using examples from his personal life and popular culture, Flanagan clearly outlines what the reader can expect in the preface and introduction. His first two chapters frame his argument nicely and provide realistic expectations for people who are looking for help with their marriages. He also provides advice for those who feel they are in abusive relationships, and recommends a course of individual—opposed to marital—therapy. Flanagan is careful to affirm the inherent worth of the individual regardless of whether the marriage ultimately thrives or fails. That affirmation of the individual’s inherent worth, along with a call for acceptance of one’s imperfections (both one’s own and one’s spouse’s) is the strongest message of the remaining chapters, even stronger than the threat from consumerism in marriage. While consumerism undoubtedly contributes a great deal to the re-valuing and de-valuing of one’s marriage partner, it is not the only cause for such harmful actions. Flanagan is (rightly) more concerned with encouraging acceptance and affirmation than blaming a consumer culture for marital problems, though he clearly believes that our consumer culture negatively affects our approach to marriage as well. 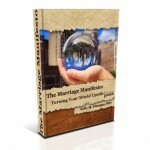 There is no simple step-by-step plan for improving your marriage to be found in this book. Rather there is a heavy emphasis on understanding and accepting our individuality and uniqueness—as people and as couples—which by definition defies simple one-size-fits-all solutions. This emphasis sets Flanagan’s work apart from the many other books on marriage that assume all couples are the same. Another strength of this book is the recognition that a couple’s story does not begin on their wedding day; both individuals bring their own histories, their own baggage, and their own woundedness to the marriage, and none of that goes away with the exchange of rings. Flanagan’s approach honors those histories and the individuals who lived them, and incorporates them into the marriage story. Some chapters were originally published as blog posts and still read as such, ending with a question or a call to action. Such endings, while perfectly appropriate for blog posts, don’t work as well for chapters located in the middle of a book. However the writing overall is of a very high quality. Flanagan avoids jargon, and provides examples from his children’s lives, his clients, and his own personal experience to powerfully demonstrate certain points. It is engaging and easy to read. While firmly grounded in secular psychology, Flanagan employs language commonly found in religion. Important elements to his approach include grace, redemption, forgiveness, sacrifice, dignity, mercy, humility, and unconditional love. However he introduces and recommends these concepts in such a way that they are accessible to people of all faiths or of none. They are presented as a counter to consumerism in marriage, and any relation they may have to religion is incidental (though not accidental, in my opinion). This makes this book helpful not only for non-religious people looking to improve their marriages, but for religious people who may be uncomfortable turning to secular psychology for answers. I would recommend this book to anyone who is in a marriage relationship. Four stars.